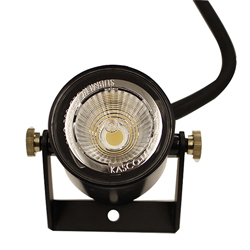 Flexible, affordable, and beautiful lighting packages for your Kasco AF Aerators, J or VFX Fountains. These lights run on 60Hz power and are 11 watt fixtures. The 6 fixture package for 2HP-7.5HP units. These LED lights come standard with classic white and includes amber, blue, green and red lenses.